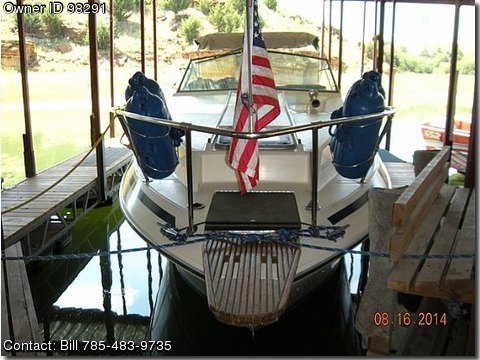 Boat is located in Russell,Kansas.Please contact the owner directly @ 785-483-9735…A Camper on the water. Excellent motor, 447 hrs on a 350 260 hp., new lower unit, shore power, refrigerator, V-bunk berth, Galley, Head, spare prop, new interior, fresh bottom paint. Getting a larger boat and need to sell. Comes with a 2 axle Rolco boat trailer. Message me or call for more pictures.